Royal fans, rejoice! 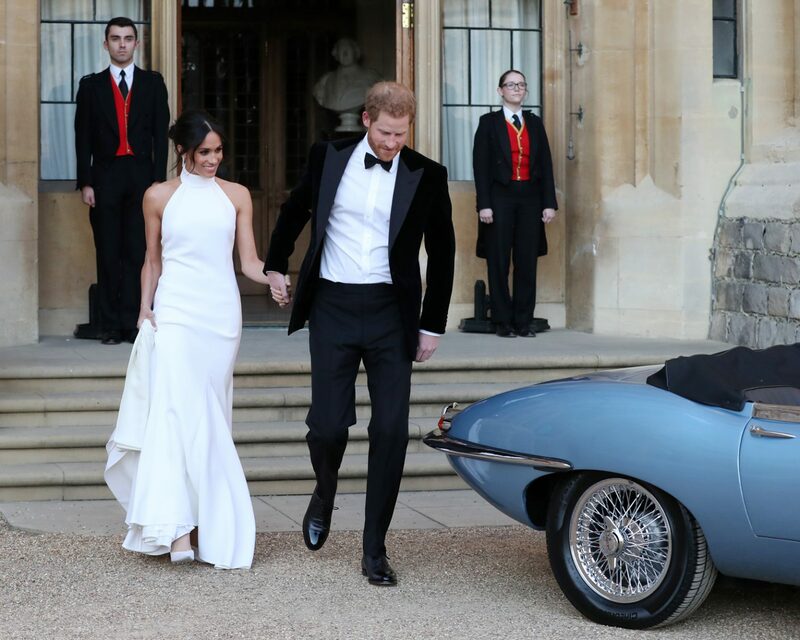 British designer Stella McCartney announced Thursday, June 14, that she’ll be producing a limited run of Meghan Markle-inspired wedding dresses after the American duchess stepped out on her wedding day in her head-turning, sleeveless reception dress. The gown, a body-hugging, mock-neck, fit-and-flare gown, will be replicated in both black and white—23 black, 23 white—as part of McCartney’s “Made with Love” capsule collection. The gowns will retail for a cool $4,656 when they hit the market, and will be available exclusively at her flagship stop at 23 Old Bond Street. But buyers beware: owning a piece of royal history (or what looks like a piece of royal history, anyway!) requires some pre-planning. Those who are interested in obtaining the coveted look will need to email 23oldbond.store@stellamccartney.com and receive a personal invitation from the British designer in order to try on and hopefully eventually buy the gown, as they will be housed in an exclusive space off the main sales floor. According to Harper’s Bazaar, there will be some subtle differences from Markle’s custom-made gown as well: the main thing being that the 46 gowns will be made with sustainable viscose rather than silk. (We think environmentally conscious Markle would approve). And those who aren’t able to get their hands on one of the 46 exclusive gowns will have a chance to try on other McCartney designs in the not-too-distant future—a spokesperson for Stella McCartney told the Telegraph that the brand is planning to expand its “Made with Love” capsule into a full-on bridal collection in spring 2019. The reasons to celebrate never cease to amaze. Be the first to comment on "Stella McCartney Is Releasing a Very Limited Number of Meghan Markle’s Wedding Reception Dress"